Karen Haller is an internationally renowned advanced colour theory mentor and trainer, helping industry professionals across the globe to transform their businesses through applying colour & design psychology in diverse sectors such as interior design and architecture, branding and product development, healthcare and wellbeing. She consults with organisations and individuals on using colour to influence behaviour and opinion in order to elicit positive response or action. Her work with designers is continuously growing as clients become increasingly sophisticated in both wanting to get involved in the design process and in understanding the tools available to create long lasting and positive impact on their spaces. As a professional she is constantly seeking to develop knowledge, skills and theories to continually improve the colour and design industry. This is achieved through observing, researching and analysing the impact of colour on human behaviour which she has been doing now for over 20 years. In 2015 she co-curated the four-day talks programme for 100% Design examining the power of colour and also launched her Mentoring Programme for Colour Professionals. For businesses, Karen’s unique experience and knowledge has a wide variety of applications from creating authentic brands, enhancing customer experiences, consulting on national advertising campaigns and the appropriate use of colour within product design, to name a few. She is often brought in as a member of the project team working alongside graphic designers, interior designers and architects. 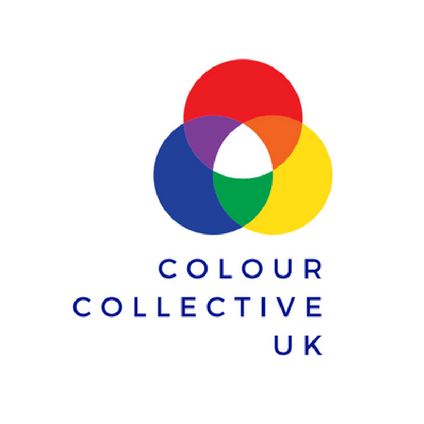 As a published author, and respected colour industry trainer, Karen is the go to Colour Psychology Expert for numerous publishers and PR agencies. She well known in the national press, radio and TV for commenting on breaking colour stories. As a sought after speaker, Karen regularly shares her Colour Intuition™ system and theories with design and colour industry professionals. She is a contributing author of the leading industry book Colour Design: Theories and Applications, writing the chapter on Colour in interior design, on the advisory board of the charity Color Cares, a former Trustee of the Colour Group of Great Britain and a BIID Industry Partner.